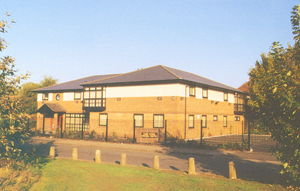 Since 1998, the Clinic has been located within the River Brook Medical Centre; a purpose-built, multi-disciplinary medical centre in Stirchley, South Birmingham. As well as hosting the Birmingham Back Pain Clinic, the River Brook Medical Centre provides GP services for local residents and serves as a training practice for medical students of the University of Birmingham. The Clinic is located on River Brook Drive, just off Cartland Road and behind the Fitness First/bowling alley on Pershore Road, Stirchley Village. Click here for a detailed map of the Clinic's location. You do not need to be referred by your GP to visit us - you can come to see us first. Just phone 01214435500 or click here to book an appointment. We usually see most emergency cases within 24 hours, so don't suffer needlessly!